‘114 Scout Lozano Street’ is the address you’ll find after a quick online search of Prima Facie. Your (Grab) ride will most likely drop you off in front of a gated residential building with the number ‘114,’ upon which you may end up taking your phone out in confusion, wondering whether you got the right address. You realize that this hidden bar is more covert than you had initially expected. To your right, you see a restaurant called Vitto’s. You peek inside through the glass windows and find bottles of wine stacked behind a tall counter. Is this the right place, perhaps? Sort of. 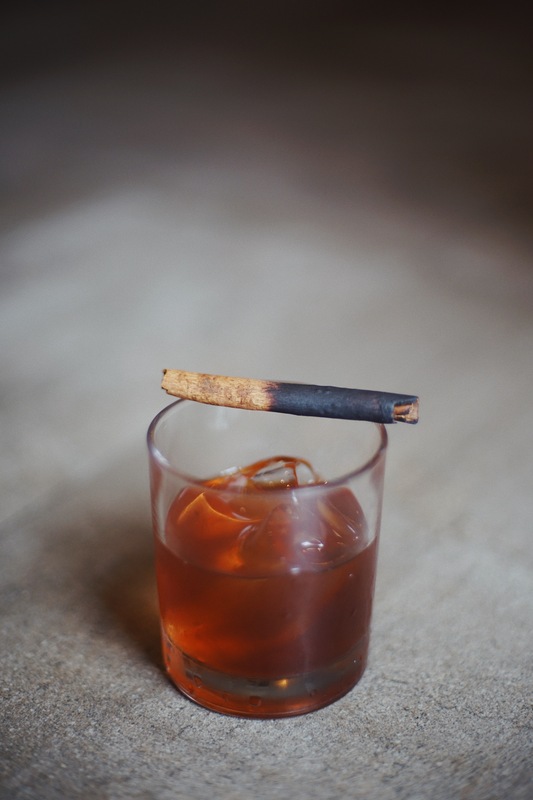 This bar within a bar is named after the Latin expression for ‘first impression,’ your prima facie of the place—once you find it—may be reminiscent of a speakeasy from the Prohibition era; a cozy space with dim, warm lighting, and Art Deco elements. 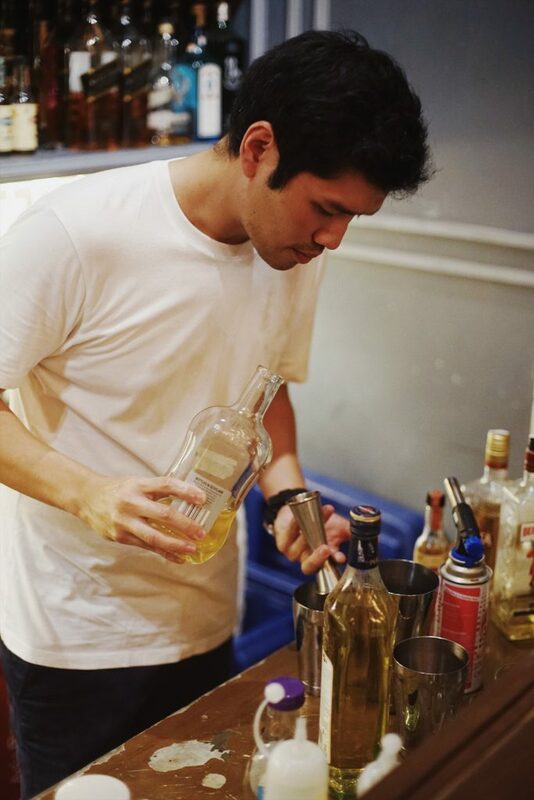 The mixologist behind this bar’s selection of cocktails is Royce Pua, 2017’s World Class Bartender of the Year, whom you may also recognize from 12/10, the izakaya-style restaurant at Makati. When asked the hard-hitting question of what inspired his signature cocktails (of which there are eight as of the moment), Pua explains with candor that there was no painstaking, creative method involved—he simply began with a classic cocktail and deviated from its recipe, modifying the elements here and there. 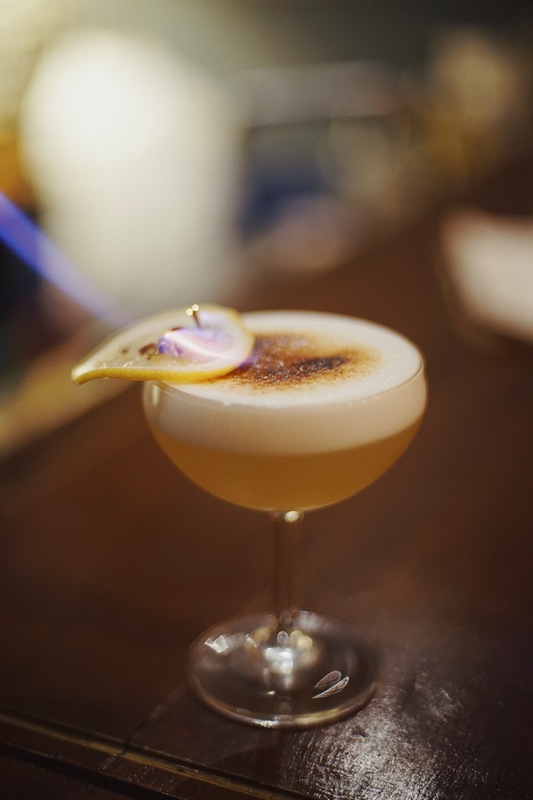 Stacy’s Mom is a chamomile-infused gin with lavender bitters, blanc vermouth, and a sweet egg white foam, topped with a light sprinkling of sugar which is then torched for a caramelized, merengue-like crust. 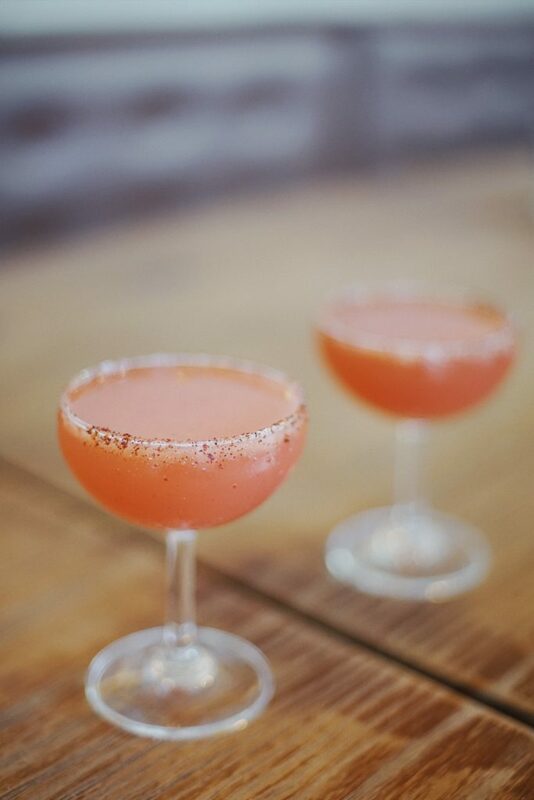 For something with a kick, the millennial pink-tinted Fake Love is both sweet and spicy; a dash of hot sauce for a kick and a sugar-coated rim. 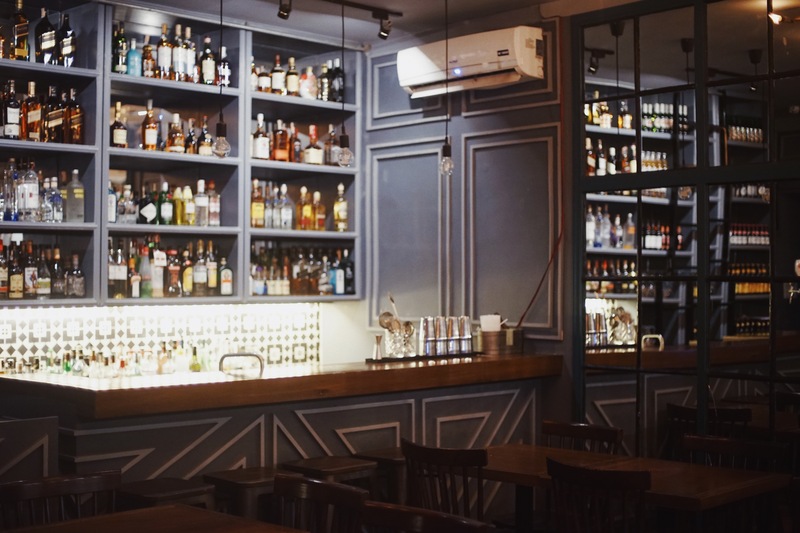 As for the food, Prima Facie offers your typical bar chow but adds a unique twist. You can, for example, munch on favorites like calamari, fried in squid ink batter to give it a black coating, and topped with katsuoboshi (dried Bonito flakes) for extra flavor. 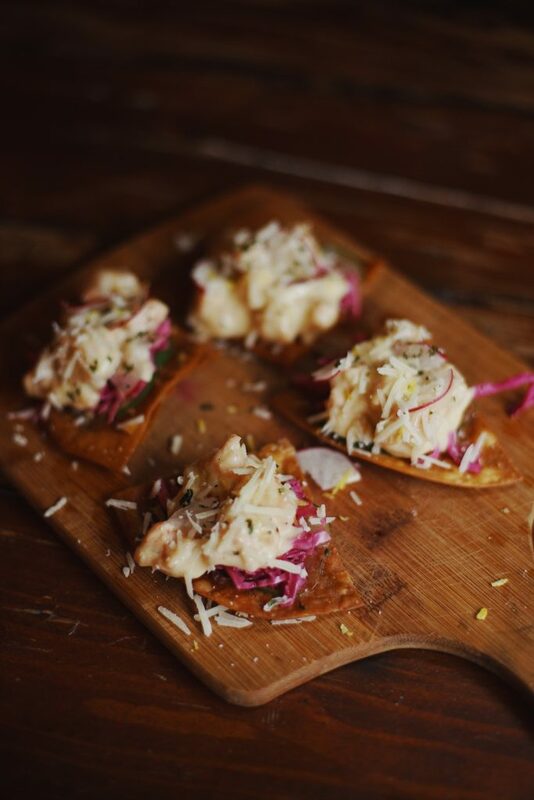 And what bar wouldn’t be complete without somewhat sloppy finger food options, like the seafood tostada: a combination of prawns, scallops, pickled vegetables, and parmigiano on a crunchy fried tortilla. 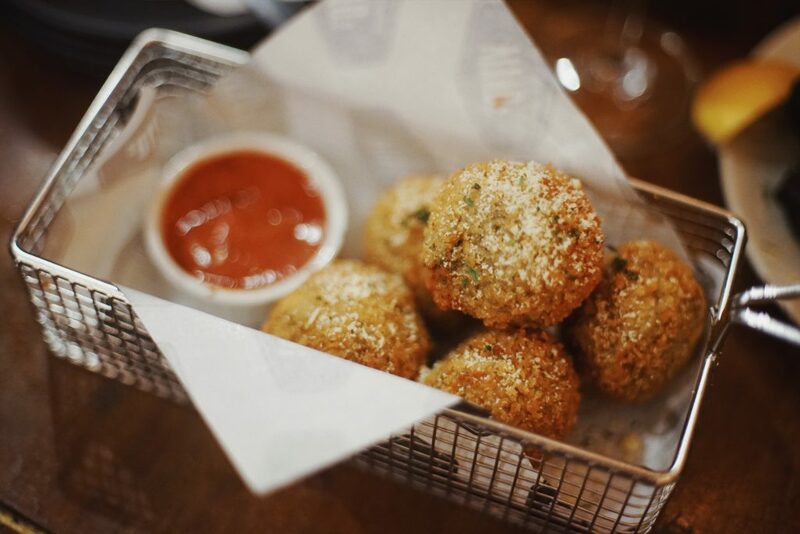 What can best be described as a happy marriage between mozzarella sticks and fried risotto balls is the pesto arancini: creamy, cheesy rice made even better with chunks of mozzarella inside, and served with a tangy marinara sauce. Pua explains that the food was conceptualized around the slogan “make drunk food great again.” The epitome of this is probably the grilled cheese sandwich. 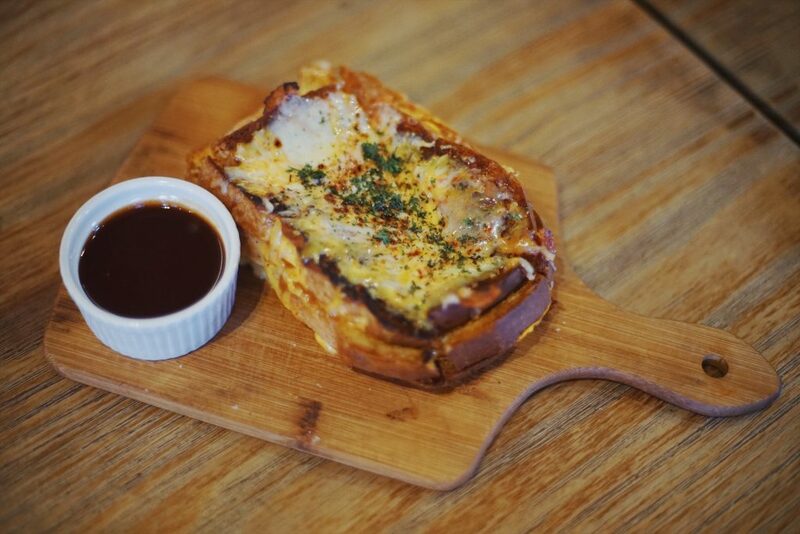 It’s made with three kinds of cheese and sandwiched between two slices of soft, buttery brioche from neighboring bakery, 28 Derby, and served with a sriracha sauce that’s more sweet than spicy—so you don’t have to worry about too much heat. 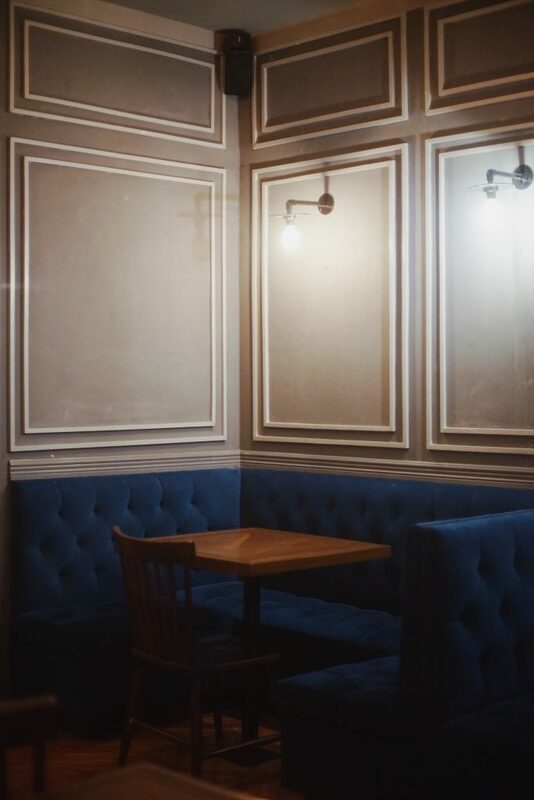 If you're from the north and are looking to have a drink with friends, Prima Facie has a unique cocktail menu and great food for sharing.